Two awards covering New Ideas & Activism and Lifetime Leadership are presented each year. Janette Sadik-Khan, commissioner of the NYC Department of Transportation and Paul Steely White, executive director of Transportation Alternatives took the New Ideas & Activism title for their contributions to public space and transportation while Robert De Niro and Jane Rosenthal were presented with Lifetime Leadership awards for their contributions to the Tribeca neighborhood. Sadik-Khan was lauded for her standout efforts to increase access to public space, improve traffic flow, and promote sustainable transportation. Her work includes the creation of select bus service routes in the Bronx and Manhattan, the installation of 18 pedestrian plazas, the addition of over 250 miles of on-street bike lanes, car-free summer streets, and a new Street Design Manual. Steely White’s leadership is responsible for championing public campaigns to make New York’s streets safer for pedestrians and cyclists including traffic calming initiatives and the Safe Routes to School and Safe Routes for Seniors campaigns, which were later adopted by NYC DOT. His organization also led the government call to install new pedestrian spaces and 200 miles of bike lanes between 2006 and 2009. The Lifetime Leadership awards went to Academy Award-winning actor Robert De Niro and Jane Rosenthal, co-founder and driving force behind the Tribeca Film festival. Together, the pair not only founded the Tribeca Film Center, the first commercial space in Tribeca dedicated to film, television, and entertainment companies, they also responded to the devastating consequences the 9/11 attacks on Lower Manhattan by founding the Tribeca Film Festival in 2002, whose active presence heavily contributed to the city’s long-term recovery. The recipients were decided by a jury comprised of Dr. Judith Rodin, president of the Rockefeller Foundation, Richard Kahan, founder and CEO of the Urban Assembly and recipient of a 2009 Jane Jacobs Medal, Mary Schmidt Campbell, dean of New York University’s Tisch School of the Arts, and Bruce Nussbaum, professor at Parsons The New School for Design. 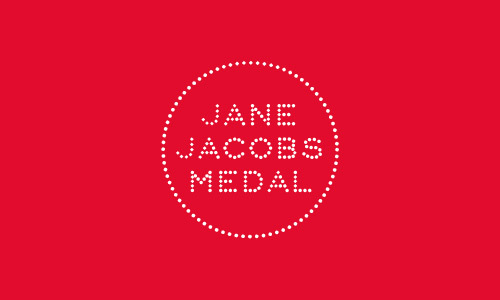 The 2011 Jane Jacobs Medal was administered by the Municipal Art Society.